For an unforgettable underwater experience, nothing compares to the Pacific waters surrounding Playa Flamingo, Guanacaste. Margaritaville Beach Resort Playa Flamingo is the closest dive resort to Islas Catalinas (Catalina Islands), one of the most intriguing dive sites along the Northern Pacific Coast. Along with large schools of vibrant, tropical fish, you can see giant manta rays, dolphins, sea turtles and eels. Angelfish, parrot fish, puffers, Harlequin shrimp, spotted eagle rays, devil rays, barracuda and hogfish are among the marine dwellers commonly observed in these beautiful surroundings. The best diving conditions are usually between May and November, when it is common to enjoy 35 ft. to 80 ft./10 m to 30 m visibility. Costa Rica water temperatures are warm year-round with higher temperatures between May-October and lower between December -March. 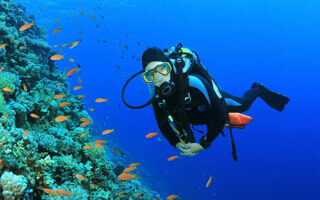 Dive sites range in depth from 40 feet to over 100 feet so there is something for divers of every skill level to enjoy. We offer daily morning trips to the Catalina Islands, and many beautiful nearby sites like "The Wall" and "The Point." Afternoon boat dives are also suitable for snorkeling, as we visit shallower sites where everyone can enjoy the beauty of the reef. Our onsite dive center is operated by professional, experienced, bi-lingual tour staff of Rocket Frog Divers and all instructors, dive masters and guides are PADI (Professional Association of Diving Instructors) certified. Those who are new to diving, we are proud to offer our Discover Scuba Dive Resort Course, which allows non-divers to experience the thrill and beauty of an underwater adventure. 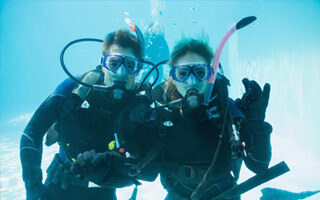 For guests who want to become certified divers, we offer Learn To Dive courses. Additionally, we offer a full range of advanced education courses for experienced, certified divers who want to broaden their skill set. If you've already completed a portion of a course, our instructors can assist you and finish it with you through our onsite Referral Program. Curious about scuba diving? Costa Rica's Northern Pacific Coast is the perfect place to dip your toes into diving! The Resort Course is designed for beginners and consists of a brief introduction of scuba diving by a certified PADI instructor, followed by a pool training session taught by the same instructor. Once your knowledge has been developed and underwater skills mastered, enjoy two open-water dives (maximum depth 30-40 ft.) You will be introduced to the amazing underwater world off the shores of Costa Rica. 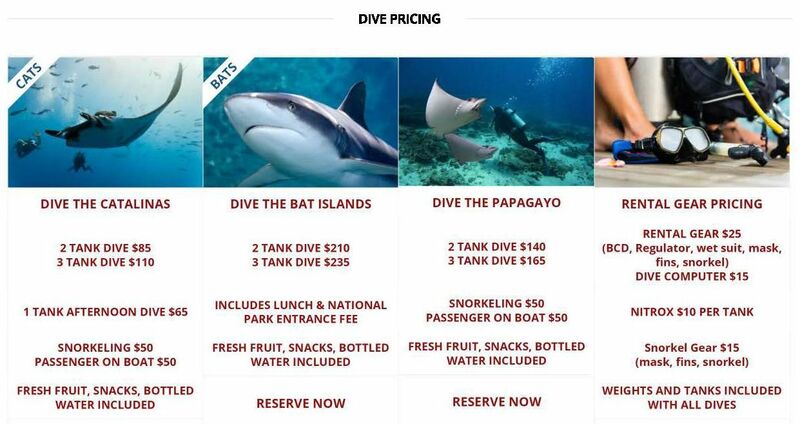 These dives are conducted and directly supervised by our experienced dive instructors. Please note that this is not a certification course. Also, the pool training session is mandatory for every participant, even those who have previously completed another introductory scuba program. Participants over the age of 50 years should bring a doctor's certificate stating that they are in good health and fit for scuba diving. Parents of children age 10 - 21 years will be required to sign a waiver and medical form on behalf of their children. All answers regarding health issues on the PADI Medical Questionnaire must be answered "NO" or a doctor's certificate may be required. An appointment with a local doctor can be arranged at your own convenience and expense. 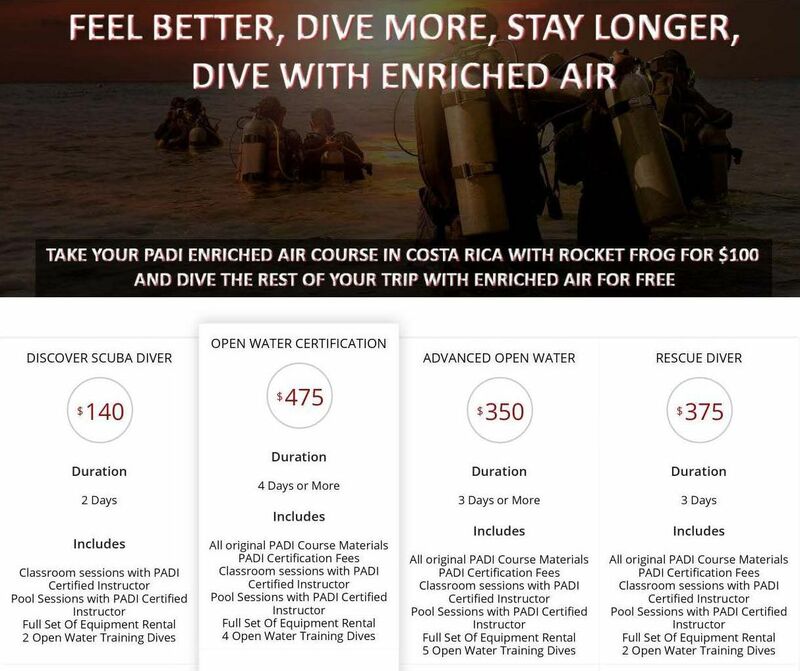 For more information on individual or group scuba diving, visit Rocket Frog Divers.